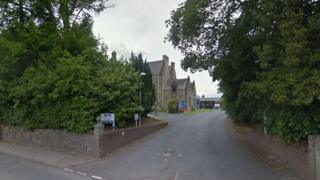 A former mortuary at a community hospital in the Scottish Borders is to be converted into a paediatric unit. The proposals at the Knoll Hospital in Duns have received planning approval from the local authority. The old mortuary is currently used for storage and a council officer said the conversion plans were "modest in scale" and appropriate to the building. Planning permission was granted on condition that external materials should match the existing building.